Get out from under the clocks! Welcome to Flinders Street Station, one part tourist hackspot, another part poorly designed railway station that doubles as a maze. 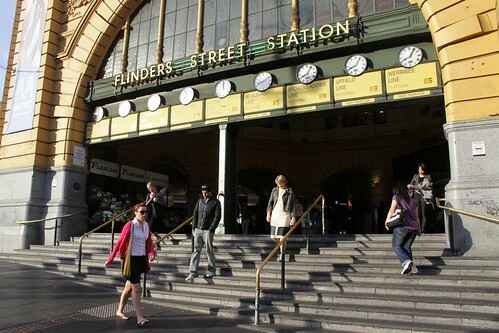 The most famous part of the station is the clocks out the front, indicating how long until the next trains depart. Like the rest of the station the destinations displayed are way out of date – St Albans hasn’t been a regular terminus of suburban trains for almost on a decade, and another clock sits idle for the non-existent Altona line service. 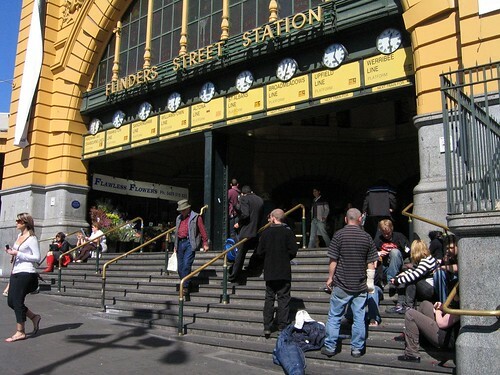 The clocks are located above the main entry to the station, and have long served as a meeting place for Melbournians, but for much of the day they look more like the lounge room of a share house inhabited by emos and goths. 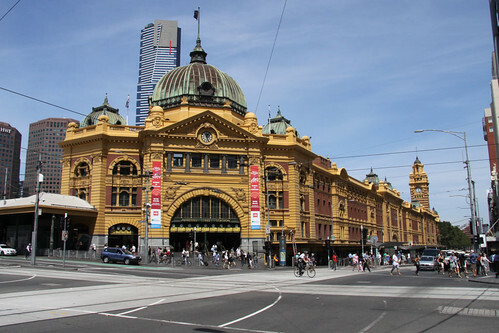 Meanwhile, how many places can one walk through when catching a train from Flinders Street? Get outta my way, or I’ll have to push my way through! « The Church of Scientology presents: cheap haircuts! 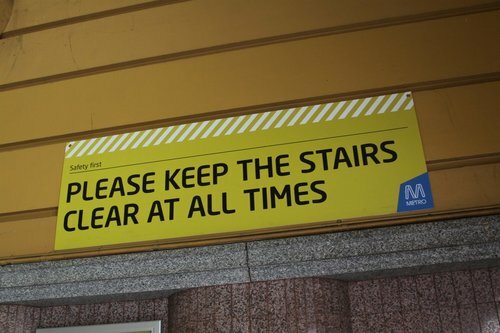 Surely all Metro has to do is sign it “No sitting on steps” send their CSO’s out periodically to move them on.